Today’s world is hard on backs. At home, at work and at the wheel, more people are spending more time sitting than ever before. Research has shown that we now spend over 13 hours a day sitting. This is where the Bottoms – Up™ posture seat can help. Developed by a top pain management doctor at Cedars Sinai, the Bottoms – Up™ posture seat forces your pelvis into the most optimal position to support your entire spine from bottom to top. Unlike most posture cushions that simply add an additional support or push you forward, the angles of the Bottoms – Up posture seat cradle & secure your pelvis into an optimal angle, providing an upward lift to the spine with its patented design and construction. The Bottoms – Up posture seat forces you into the correct sitting posture, teaching you how to maintain the proper sitting positioning. This positioning allows you to avoid pain, maintain more energy over log periods of time and pay more attention to what’s in front of you. 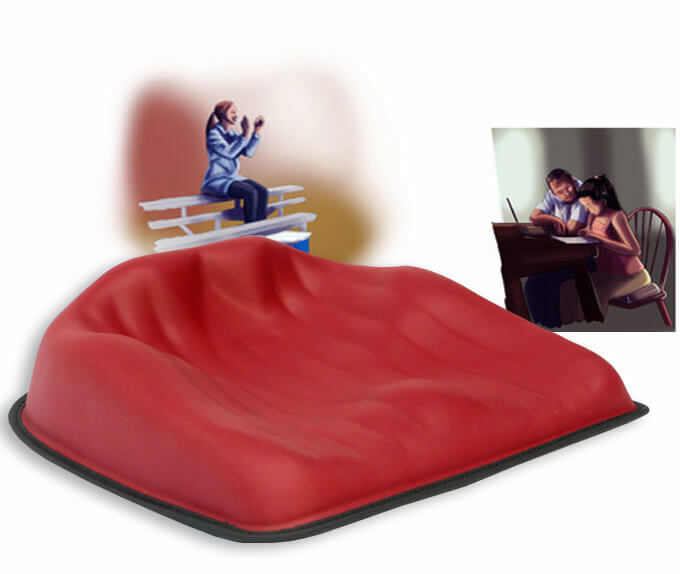 Ideal for home, car, office or anywhere you have to sit for long periods of time. Forces your pelvis, spine and neck into the most optimal, healthy sitting position = ideal posture. Carry handle for easy carrying. 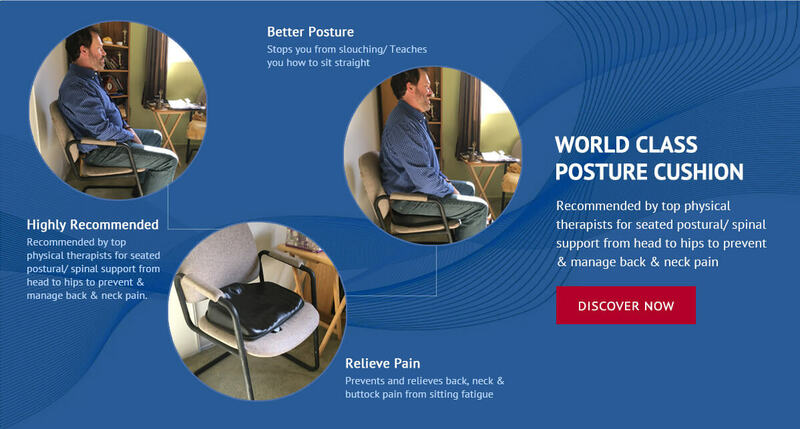 pain under control and improve your posture forever! !